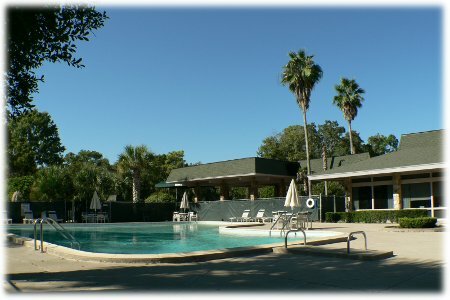 In 1980, some of the early residents of Sugarmill Woods formed an organization to represent the residents of what was then only Cypress Village. As the development community grew and expanded into additional villages, the original organization evolved into what is now the Sugarmill Woods Civic Association. The Civic Association stands apart from the three major Property Owners Associations: Cypress Village, Oak Village, and Southern Woods. In its simplest form, the three Property Owner's Associations focus on and address the issues and concerns internal to the community of residents: Architectural, Deed Restrictions and Enforcement, Greenbelt and Common areas, and Security. The Civic Association concentrates on the external factors that affect residents: utility rates, water availability, county, school board and state issues. Its volunteer Board members have spent countless hours attending meetings in and outside the County, in financing legal and lobbying support, and researching such matters as Greenbelt preservation, and noise-abatement from the proposed Suncoast 2 Parkway extension. The Civic Association publishes the annual Sugarmill Woods Directory of Residents (telephone directory) and periodic Sugarmill Woods Bulletins, and sponsors Community Outreach Program meetings. The Civic Association maintains a private e-mail data base of its membership to keep residents informed of important issues and concerns and significant events. This new web site is the Civic Association’s latest service to the residents of Sugarmill Woods. Membership in the Civic Association is voluntary. The annual dues are only $15.00 per household. A copy of the Civic Association Membership Application / Renewal Form is available in the front of the Sugarmill Woods Directory of Residents (telephone directory). New residents are encouraged to submit a completed form to the address below. If you do not have a SMW telephone directory, you can click on the following link to get access to an Application / Renewal form which you can print out, fill in the requested information and submit it to the address below. The link is: Sugarmill Woods Civic Association Application / Renewal Form. Please check the telephone directory to be certain we have accurate information in your listing. If not, include any changes on the Membership Application / Renewal form so we can make corrections in the next edition.